This is the final version of my hand-lettered quote project, which I began after signing up for a Skillshare class with Mary Kate McDevitt as the instructor on the subject. I chose a quote from the Dr. Who television show anniversary special, Day of the Doctor, since it is one of my favorite programs and I feel inspired by the message itself. 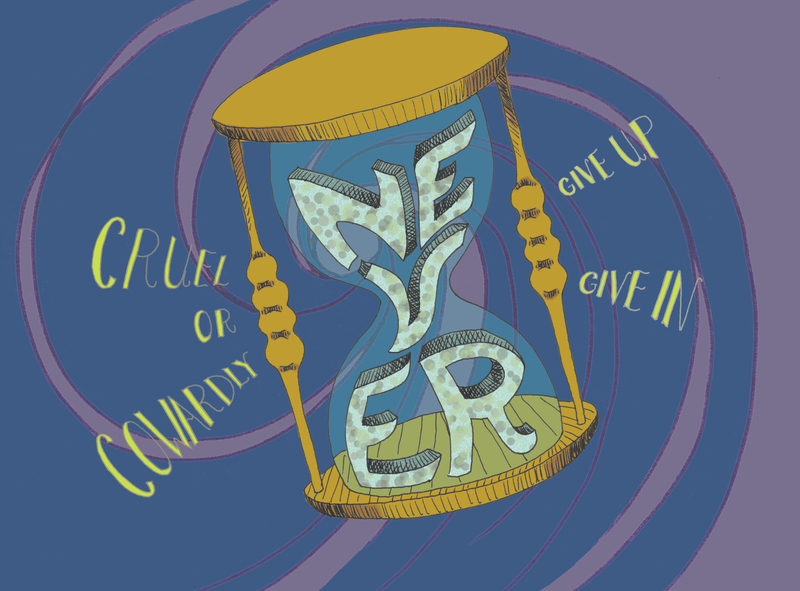 The full quote is Dr. Who’s motto: “Never cruel or cowardly, never give up, never give in.” Since the word “never” is repeated I chose to visually paraphrase the quote in my design to create a more powerful image. 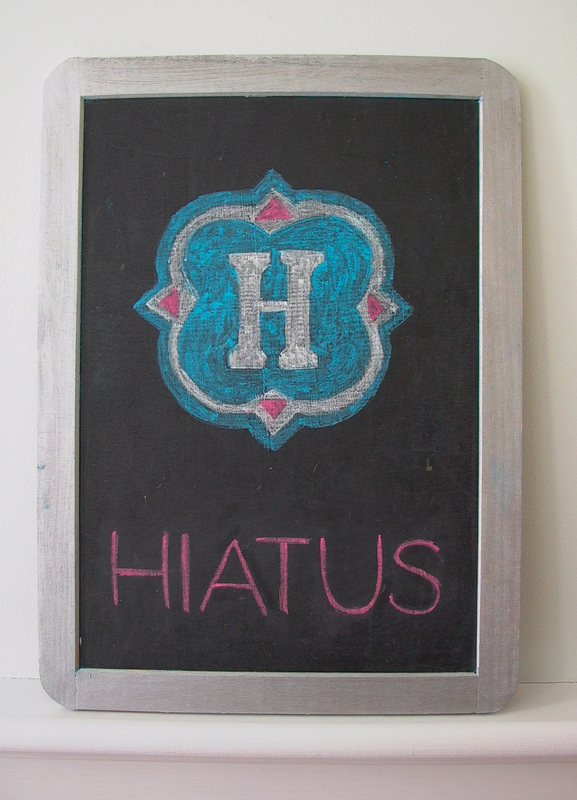 chalkboard for when she attends trade show events. Contact her at Hiatus Travel for help planning your next vacation or honeymoon!